How Mexico Saved Johnny Reb! 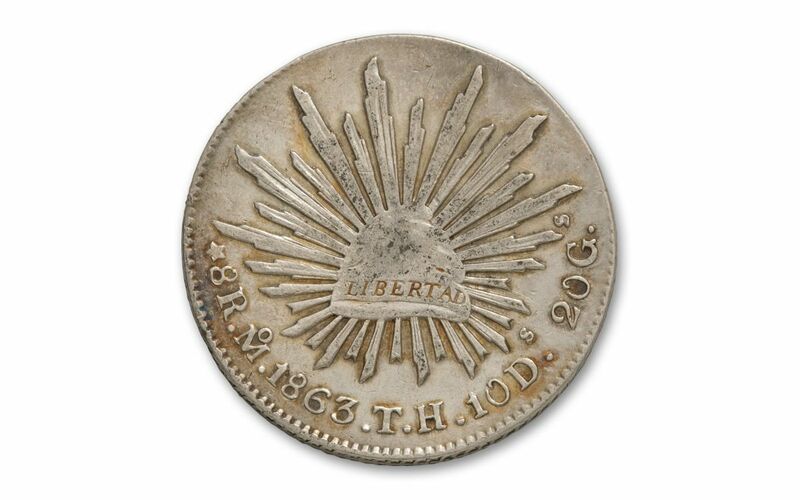 In 1861, the new Confederate States of America were cut off from their coin supplies in Philadelphia. The rebels seized the New Orleans Mint in a desperate attempt to fill the gap, but Union forces seized it back in less than a month, leaving the South short on "pocket change." Their solution? Look even farther south -- all the way to Mexico! 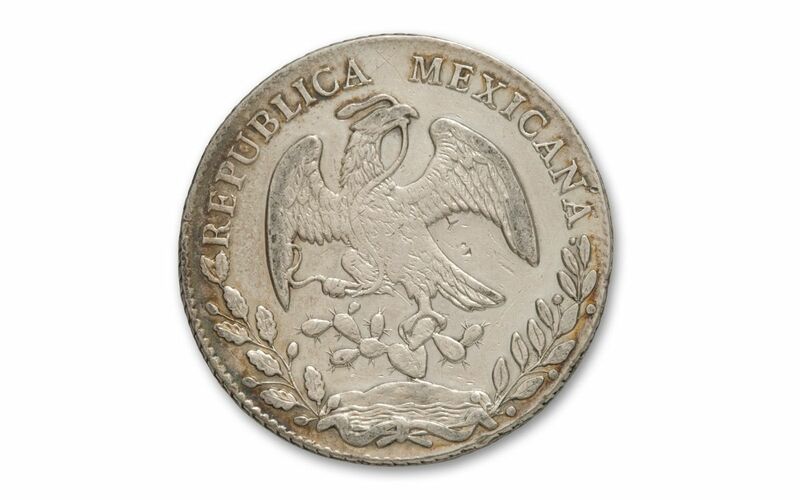 Between 1861 and 1863, they imported Mexican "Cap and Rays" 8 Reales Silver Dollars. Each is struck in 90% silver and is about the size and weight of a Morgan Silver Dollar. 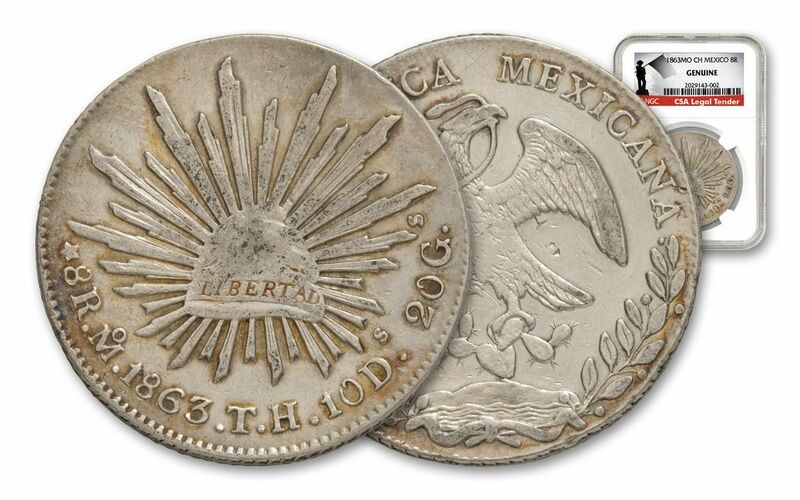 The obverse shows a Liberty cap and the sun’s rays while the reverse features the Mexican eagle perched on a cactus with a snake in its mouth. They immediately entered circulation and helped the South survive, perhaps longer than it would have otherwise. We were recently offered a small hoard of these "Confederate Silver Dollars." Knowing their historic importance, we immediately snapped them up. 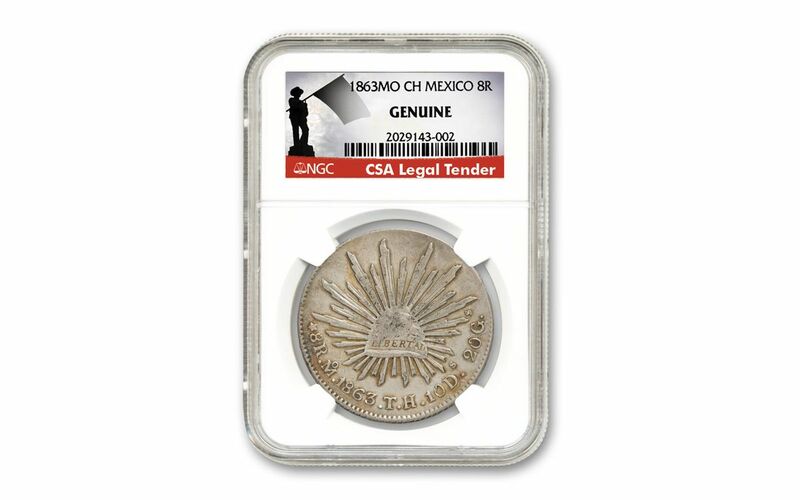 Each 1863 Mexico Silver 8 Reales is certified by Numismatic Guaranty Corporation (NGC) as a genuine Civil War-era silver dollar. In addition, your coin will be encapsulated in an acrylic holder for protection along with a label specially created by NGC for this important find. Don't miss out on this historic discovery!